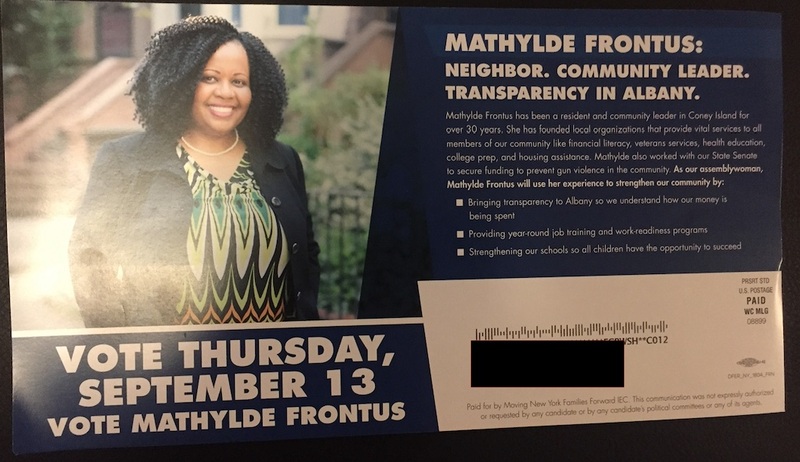 CONEY ISLAND/AY RIDGE – A Walmart backed charter school group, is throwing some skin in the 46th Assembly race with a last-minute mailer backing Mathylde Frontus. Over the weekend, some residents in the Coney Island, Brighton Beach and Bay Ridge area received a mailer from Moving New York Families Forward (MNYFF), a super political action fund (super PAC) backing Frontus for the assembly race. MNYFF has donated an undisclosed amount of money for the printing and distribution of a flyer. According to federal law, super PACs contributions must be made with no coordination with the candidate. The obscure organization is a creation of Democrats for Education Reform backed by Walmart heiress Alice Walton who has for the past two years donated close to $400,000 to the super PAC. Walton, who lives in Arkansas, also donated to New Yorkers for a Balanced Albany during a special election in April which backed Republican Julian Killian to beat Democratic Assemblywoman Shelley Mayer in a special election in Westchester. Killian is now running for lieutenant governor of New York State on the Republican line. In 2016, Walton dished out $300,000 to Moving New York Families Forward, the same year the organization was created. This year, Walmart billionaire donated $60,000 to the super PAC. According to their website, the charter school advocates, Democrats for Education Reform supports candidates looking to “pursue bold reform” within the public school system. Frontus did not respond to requests for comment but a representative said the candidate was not aware of the mailer and forwarded this video as her comment on whether or not she supports charter schools. In the Facebook post, Frontus pledges to rely on the input from the divided districts of Coney Island and Bay Ridge noting the two area have different needs. 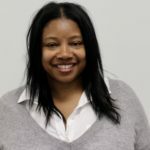 “‘They want to have an opportunity for their children to receive the type of education that they would not otherwise be able to receive,’” said Frontus of what parents on the Coney Island side of the district have shared with her. Frontus also confirmed two of her campaign staffers have charter school associations. Joe Herrera who manages her campaign worked for Families for Excellent Schools.